If you are one of those people still drinking skim milk even after countless studies and research have debunked it as a “healthy” food, maybe you wan to reach for the full fat. A new study shows that people who drink skim milk are far more likely to develop diabetes than those who stick with regular. The new study published in Circulation, was led by Dr. Dariush Mozaffarian who found that people consuming full fat dairy actually had a 46 percent lower risk of getting diabetes during the study period than those with lower levels. There seems to be a connection between the reduced fat levels and a greater craving for sugar and carbs to make up for that missing fat. In other words, fat is not the enemy. No matter what Snackwells told us in the 1990’s. The enemy is sugar, sugar, sugar. Always sugar. Of course, maybe that will change, too. It seems every few years there is a new diet demon. Whether it’s fat or sugar or carbs or counting calories, the fads seem to come and go. But the one consistent thing that remains is this: Eat fresh. Eat whole. Eat local. I can get behind this study because it feels true. Doesn’t it just feel better to eat food as close to nature as we can? If it doesn’t come out of the cow processed, maybe we weren’t meant to process it. Whether or not we should consume cow’s milk is a whole other discussion, but in general, full fat makes a lot of sense. We feel more satiated when we drink the real stuff. And full people don’t consume more than their share. Plus, diabetes. 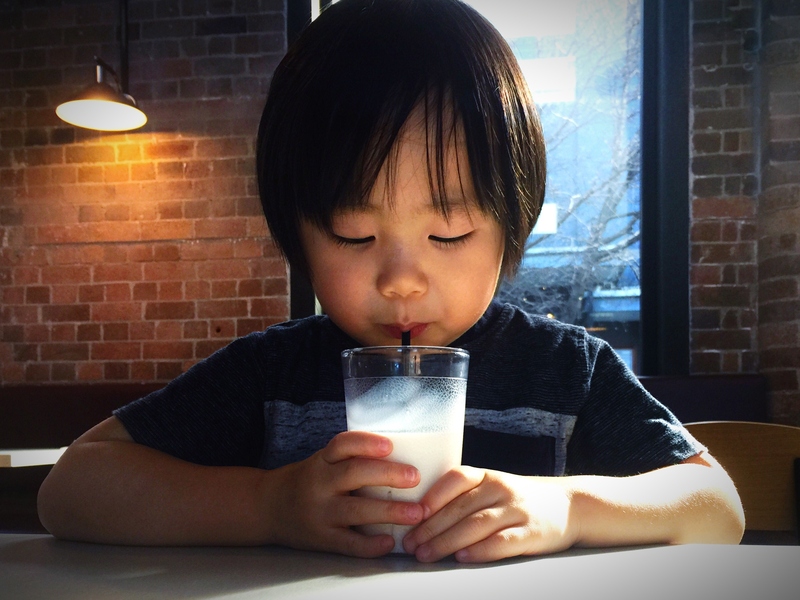 Put down that glass of skim milk right now and recognize the times, they are a changin’.